Don’t drive over the drain field or park on it. Drain field installation does not include putting in a load bearing surface. If you drive over it or park on it with your vehicles, there is a good chance you will damage it. If you drive over it once and it seems fine, don’t assume you can keep doing it. Getting lucky once doesn’t mean you will continue to do so. Do not let grease, fat, and oil go down the drain. Your septic system works by allowing solids to sink in the septic tank and liquids to rise. Those liquids then flow out to the drain field where they are filtered before entering the soil. If an abundance of oils is introduced, they will float to the top and be carried out to the drain field. Once there, these act as contaminants and clog the drain field, which will result in a backup in your home. If the drain field is seriously clogged, you will need new drain field installation. Conserve water and spread out usage. Too much water can overwhelm your drain field. The best thing you can do is spread out water usage, such as doing a load of laundry each day rather than all of it in one day. 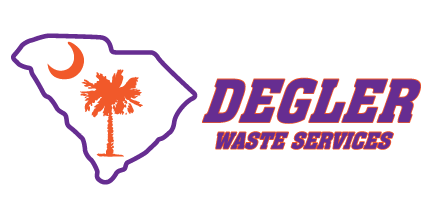 If you are having difficulties with your drain field and need to know more about drain field installation, give us a call at Degler Waste Services.